We are a recognized entity, engaged in providing the best-in-class range of Jet Vent Fan for our clients. 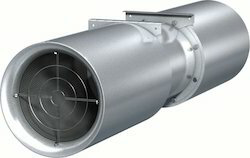 Colt Jetstream is an impulse jet fan intended to control air movement and direct polluted air and smoke towards the extract positions in a car park. 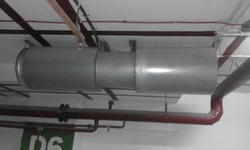 Car park ventilation systems are required to achieve two objectives. Compressed air or saturated steam is the power source for this air mover. velocity air through the venturi and out the air diffuser. Airblast Equipment India Pvt. Ltd.
A jet fan ideally suited for distributing and mixing heated air throughout the whole structure by means of a plastic duct. Dual use : For daily ventilation and smoke extraction in case of fire. Symmetrical Aero : Dynamic blades for maximum thrust with low sound level. Technotech enterprises is a renowned name in the market of jet fan suppliers. Our jet fans are hugely demanded by industries for providing hassle free operations in less time consumption. The jet fans that we offer are available at competitive prices. - The machine adopts digital temperature controller, which makes operation easier. - The two powerful fans inside the tunnel make the air heating very equally. - Reinforced conveyor motor ensures steady transport and the speed of the conveyor is adjustable.